Holland America Line has released a series of photographs of Eurodam following a scheduled 14-day spell in dry-dock in the Bahamas. Lincoln Center Stage and Billboard Onboard are two new additions that complement the existing B.B. King’s Blues Club. Under the exclusive partnership with the Lincoln Center for the Performing Arts, Lincoln Center Stage showcases world-class musicians performing multiple chamber music programmes nightly. Afternoon recitals are performed on sea days. Billboard Onboard features live musicians performing shows based on the interesting facts and figures of the music industry as chronicled by Billboard. Between the nightly sets and songs, guests can sing and play along with trivia questions presented on screens throughout the room. Oosterdam will receive these venues during its April dry dock, and other Vista- and Signature-class ships will see the additions over the next few years. 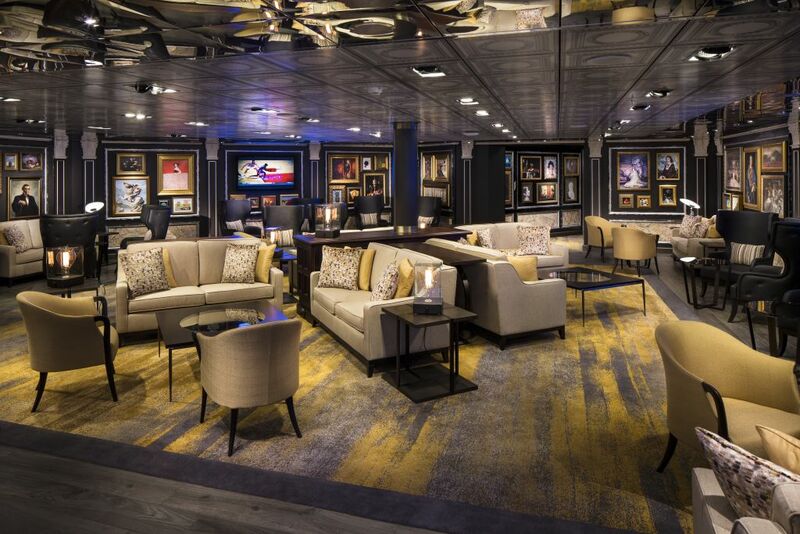 During the dry dock, Eurodam received the line’s first Gallery Bar. The venue replaces Northern Lights and serves a cocktail menu created by celebrity mixologist Dale DeGroff. The Gallery Bar will be introduced on Nieuw Amsterdam, Noordam, Westerdam, Oosterdam and Zuiderdam by May 2018 as the ships each enter dry dock. The traditional casual Lido buffet has become the Lido Market. Speciality stations include Breadboard, with fresh-baked breads and pastries; Wild Harvest, offering made-to-order salads; Homestead, serving up comfort classics; Distant Lands, featuring exotic flavours from around the globe; Market Central, serving continental breakfast or light meals to go; Perk, offering freshly brewed coffee, hot and iced tea and chilled juices; and Sweet Spot, with a choice of ice cream and desserts. 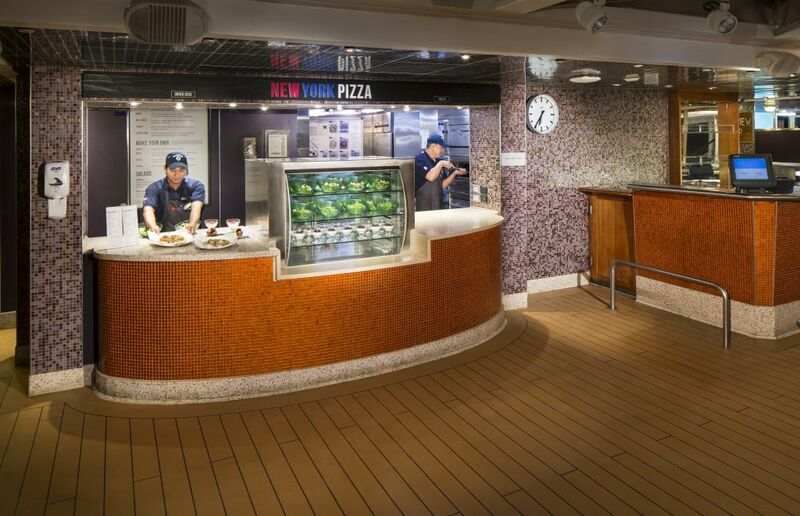 New York Pizza, which made its début on Nieuw Amsterdam, replaces Slice. It offers five thin-crust personal pizzas made-to-order in less than 10 minutes. After ordering, diners are given a pager to alert them when their pizza is ready. 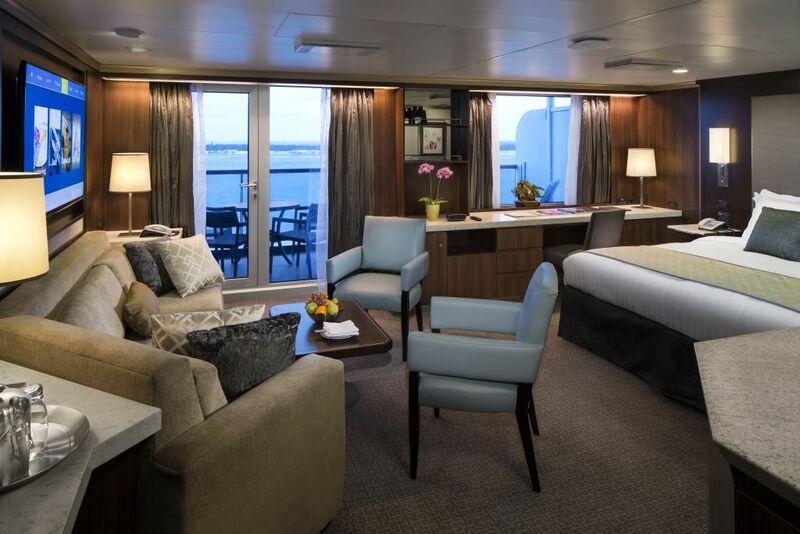 Eurodam was the first Holland America Line ship to undergo extensive developments to its suites as part of a $300 million brand enhancement initiative announced in November. The main living area in each suite was refreshed with new furniture, carpet, wall coverings and soft furnishings. Electronic upgrades included a new USB outlet added to the bed’s headboard, bedside LED reading lights, upgraded electrical outlets and a lighted closet rod. Neptune and Pinnacle suites also received a Bose Bluetooth speaker. 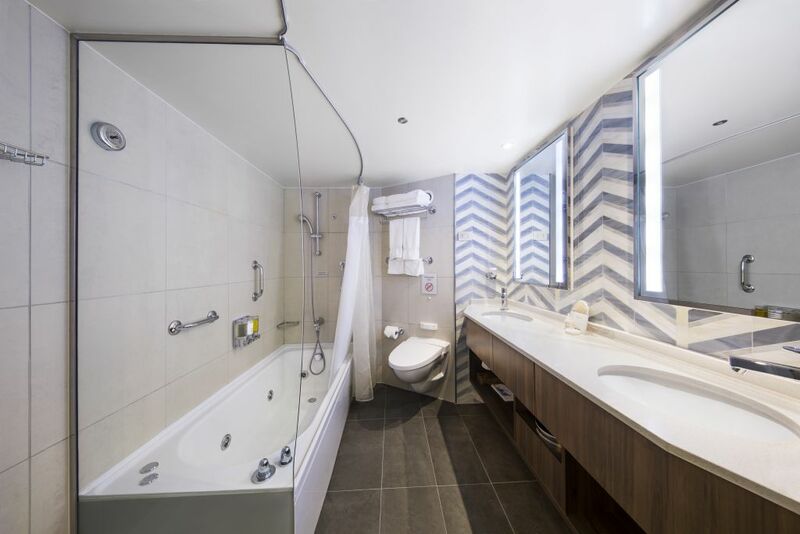 Suite bathrooms received new contemporary mirrors with integrated LED lighting, stylish floor tiles and a night-light. 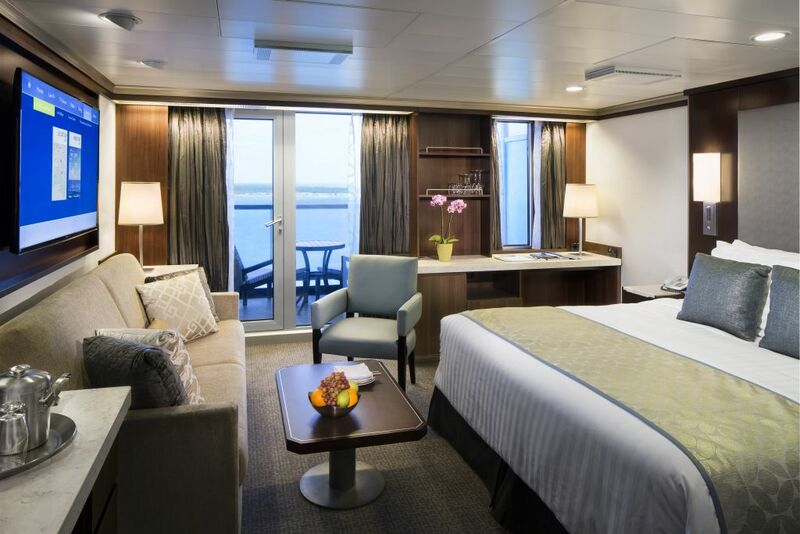 A new interactive television system was installed throughout the ship, with large LED flat-screen TV’s offering access to complimentary movies on demand as well as easy access to the daily program and shipboard information including restaurant overviews, spa services and guest billing.